When you arrive to Istanbul airport, our agency will meet you at the airport and will transfer you to hotel that we reserve for you. Check-in, free day at leisure and overnight. Depart from your hotel around 08:30 am. Our agency will take you to full day tour to historical part of Istanbul. 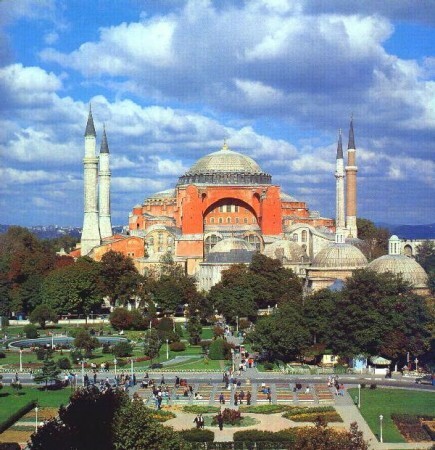 Places to visit: St. Sophia, Blue Mosque, Hippodrome Square, Grand Bazaar, Topkapi Palace and Rustempasha mosque. Around 5:00 pm, transfer back to hotel and overnight. Early morning (like 5:30 am) from hotel, we'll transfer you to Istanbul airport. Flight to Izmir. Duration of this flight is about 45 minutes. When arrive to Izmir airport, our agency will meet you at teh arirport and will drive you to Ephesus. .Full day tour of Ephesus & The House of Virgin Mary . First you will visit The Temple of Artemis , which once was one of the Seven Wonders of the ancient world. Then you will visit the world famous ancient Greco-Roman City of Ephesus , the most well preserved example in the world. After visiting this impressive site, you will have a lunch break.After lunch, you will visit The House of Virgin Mary , where it is believed she spent her last days. This is a holy place for both Christians and Muslims. End of the tour like 15:30, we will transfer you to hotel in Selcuk or Kusadasi town; check-in and overnight. After breakfast, like 8:00 am, our agency will take you to Pamukkale and Hierapolis tour.In Pamukkale, you will see the Cotton Cliffs, one of the natural wonders of the world formed by deposits of calcareous salts. Also visit the ancient ruins of the City of Hierapolis with its basilica , theatre and Roman Baths. After the tour, transfer to hotel. Overnight. After the tour, transfer back to same hotel and overnight. 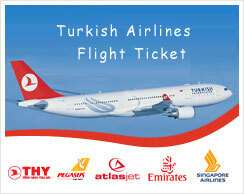 Sometime before noon, our agency will transfer you to Izmir airport for to fly back to Istanbul. As soon as arrive to Istanbul airport, our agency will transfer you to hotel in Istanbul, overnight. Our agency, will meet you at the hotel for transfer you to international airport for you to fly back home and we finish our services.